Falcon Jane create a casual atmosphere where strong emotions can swim in sweetly crafted melodies on third album, ‘Feelin’ Freaky’. If you were to break down the parts of Falcon Jane’s music, you might find an array of qualities that can only be considered pure ear candy: From sometimes twee lyrics to the occasional Beatles jangle, the Mazzy Star wobble, the Bowie piano, to the breathy stoner girl vocals and twangy guitar. But the sum of these parts is of course, something more than a hodgepodge of influence. The self-coined genre of “plez-rock” that Falcon Jane presents is a subtle, yet innovative mix of these things. The unique voice of front-woman Sara May makes the songs exactly how she describes them: sad, but incredibly pleasant. 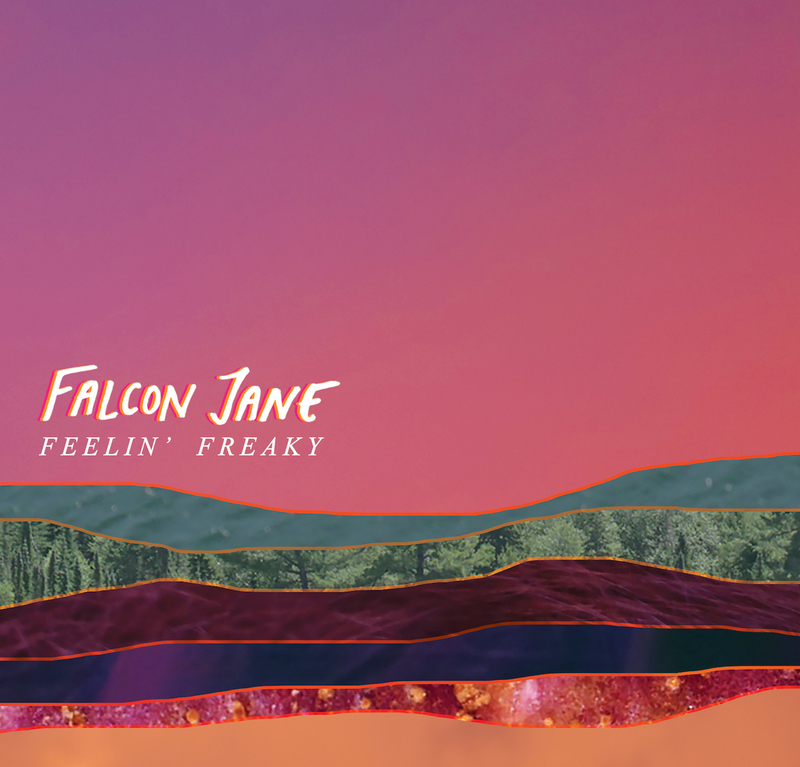 Atwood Magazine is proud to premiere Falcon Jane’s new album, Feelin’ Freaky, out August 3, 2018 via Darling Recordings. Feelin’ Freaky is the third full-length record from the Ontario based band. The album is a colorful exploration of lead singer and songwriter (self-described as stoner-songwriter) Sara May’s inner world. Each song feels like sunshine, the experience of laying on your back in a field on a cloudless day. May and her band’s aim with their music is to give the listener a pleasant experience, all the while regaling them with this kind of range in topic. They are extremely successful in this endeavor. The album’s opening song, “The News,” begins so pleasingly catchy that it’s easy to not recognize the song’s grief-stricken content at first. Stylistically, the songs fall into near-suspension of time. The sound is occasionally that of early ’90s indie rock, but it’s also occasionally 60s folk-rock. There’s occasionally a country twang and occasionally an ’80s synthesizer. It’s an album of contradictions, but one that plays perfectly with either side of itself. May’s delivery is endearing and intentional in its casualness, recalling bands like Ducktails or Tennis. Her breathy voice is round and warm, filling out the overall warmth of the album. It’s an album that feels like a perfectly and deliberately crafted gem, wrapped neatly in a sweet stoner persona that says sheepishly, “Here’s our album, I hope you like it.” And we do, because how could you ignore ear candy so sweet? 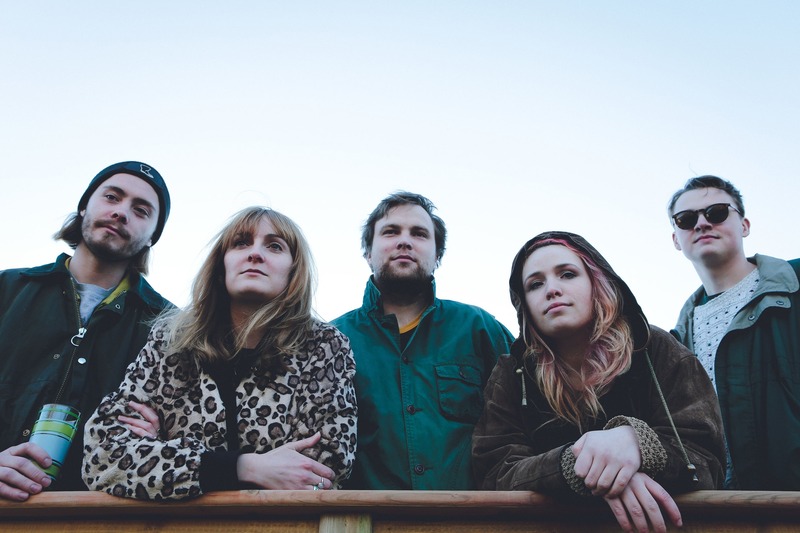 Enjoy the exclusive stream of Feelin’ Freaky on Atwood Magazine today, and get behind the scenes below with track-by-track song explanations from Falcon Jane’s Sara May! “The News” is a sad song (maybe the saddest on the album!) about losing someone you love and trying to find them amidst grief’s dense, emotional fog. The song flowed out of a very deep, insecure part of me, and I’m grateful to have been able to access that side of myself. “Go With The Flow” is the ultimate chill song for anxious over-thinkers like me. It was my favourite song on the album for a long time, probably because it’s so calm, and I’m really into slow, calm music. I actually wrote it on the same morning I wrote “Pure Pain”, so the song kind of feels like that feeling you get after you’ve had a heavy sob fest, when you’re kinda calm and giddy and relieved. Though I will admit, I do remember sobbing my way through the chorus when I was singing it for the first time. “Ginger Ale” is a great song to listen to when you’re driving down a country road, or sitting on a dock, or laying in the sun drinking some kind of carbonated beverage with your best friends. It’s my love song for the countryside! I wrote it while living in the city during a heat wave. Everyone knows the feeling of wanting to escape the city on those really hot days and find some water, nature, and peace. Oh and check out those hilariously righteous riffs! The true meaning behind “Pure” is way too personal (and explicit!) to get into, but the over-arching theme of the song is acceptance. It’s about learning to accept someone who you’re getting to know and not trying to push your views your values onto them. I believe that through accepting ourselves, we can more easily accept others. In early 2017, an extraordinary friend of mine passed away. I really wanted to say goodbye, or even say hello to him, but I didn’t know how. Death causes a lot of self-reflection, so I started thinking about who I was when I met him, and who I’ve become, and how a relationship changes once someone moves to the afterlife. Ever wish things could go back to how they used to be? Or you dread what’s coming? That’s what inspired “Had It All”. I’m excited to hear what people think of this song. My fave part is Jay’s bass line at 1:17. “Ignored” is a cross-species examination of abuse and neglect. It compares my experience being a victim of sexual abuse with the experience an animal has on their journey to slaughter. The song helped me vocalize the confusion I felt when no one would listen to me or help me, but also caused me to admit my own faults in not using my power to stand up for those whose voices aren’t being heard. Pretty deep stuff in a pretty upbeat song! That’s plez rock for ya. “Never Showed It” is about past in present – old feelings and memories coming back to you, but not being able to fully understand how and why things played out the way they did. I always try to be an honest person, because there is nothing worse than being deceived by someone you loved and trusted. This song is helping me open up closed parts of myself and forgive those who’ve deceived me in the past. Last summer I was so heartbroken and miserable that I could barely do anything besides write this song. I felt like an empty shell. It was amazing how much physical and emotional pain could be caused by a broken heart. Haha, it’s kind of funny to look back on it now, because I don’t have those feelings anymore – I’m so removed from that experience. But I hope this song can help anyone who feels like they’re hitting their low, like there’s no way out of their intense misery. Because believe me, there is! This too shall pass. “The Dirt” is our spooky jam song, with a secret little Egyptian riff hidden in it. This song was super fun to record – Branson and Andrew did some freaky guitar stuff that make it a great album closer. Lyrically, the song was inspired by my connections to my family and ancestors. I come from two very different families, and I wonder how much influence my genes have on who I’ll become, and how much of them I’ll carry with me.